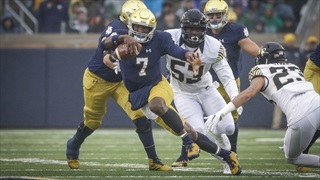 A few thoughts for your Sunday morning. 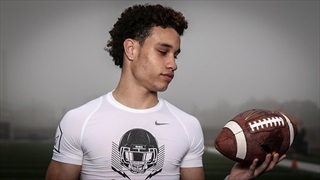 Notre Dame receiver Braden Lenzy has been preparing for his June arrival and is ready to start working with his roommate, Phil Jurkovec. 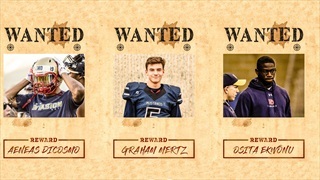 Three players that crucial to Notre Dame's 2019 recruiting class. 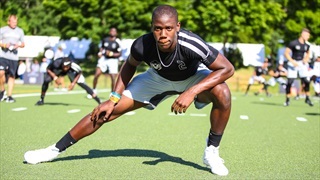 Notre Dame receiver signee Kevin Austin Jr. has been focused on learning the playbook as he hopes to play early for the Irish. 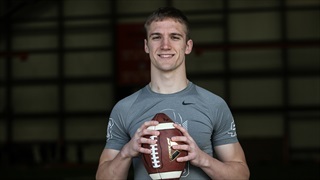 Notre Dame quarterback signee Phil Jurkovec already preparing for his arrival in South Bend next month. 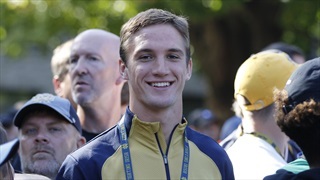 2018 quarterback Phil Jurkovec will have a high school teammate with him at Notre Dame. 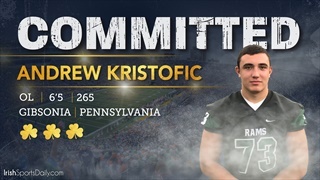 2019 Pine-Richland (Pa.) offensive lineman Andrew Kristofic has committed to Notre Dame. 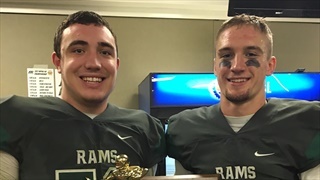 The latest on 2019 Pine-Richland (Pa.) offensive lineman Andrew Kristofic following a visit to Clemson. 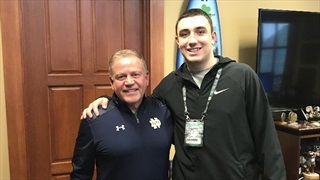 Notre Dame hosted one of its top 2019 offensive line targets on Monday. 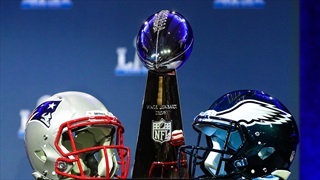 Just a few thoughts on a Sunday. 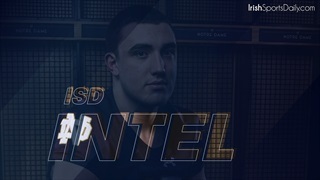 We checked in with Notre Dame's commits, signees and top targets to get some thoughts on Sunday's Super Bowl. 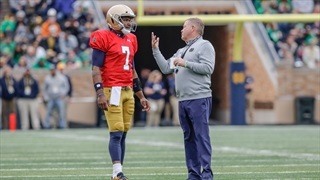 Mike Frank takes a look at Notre Dame's quarterback play during the 2017 season. 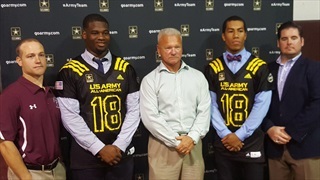 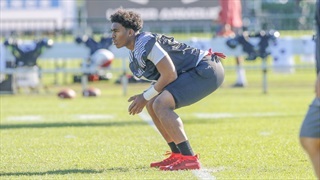 Our friends at InsideTexas provide their thoughts on the Notre Dame commits who were in San Antonio for the U.S. Army All-American Bowl last week. 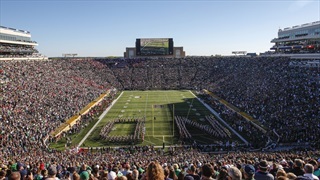 Five Notre Dame signees are playing in their final prep game on Saturday afternoon. 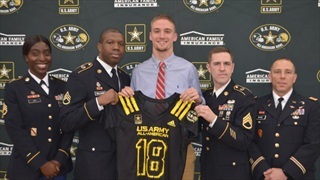 2018 Irish QB signee Phil Jurkovec talks about the Army Bowl and his future in South Bend. 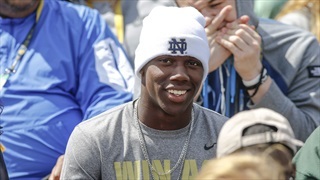 Notre Dame newest signees wanted to send a message to their parents after signing on Wednesday. 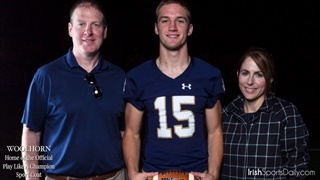 Everything you need to know about Notre Dame signee Phil Jurkovec.